When I was visiting the Old City of Jerusalem in June, I saw many beautiful crosses–in churches, on walls, in art, and on jewelry. I was enchanted by the style of cross you see above for it’s complex shape. 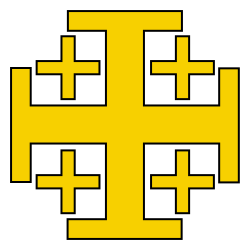 It is known as a Jerusalem Cross. I immediately wanted to buy a Jerusalem Cross as a souvenir, but it was such a busy time, that I forgot! So I have decided that I must someday return to Jerusalem to buy one. In the meantime, it’s fun to make a Jerusalem Cross with different types of arts and crafts tools. 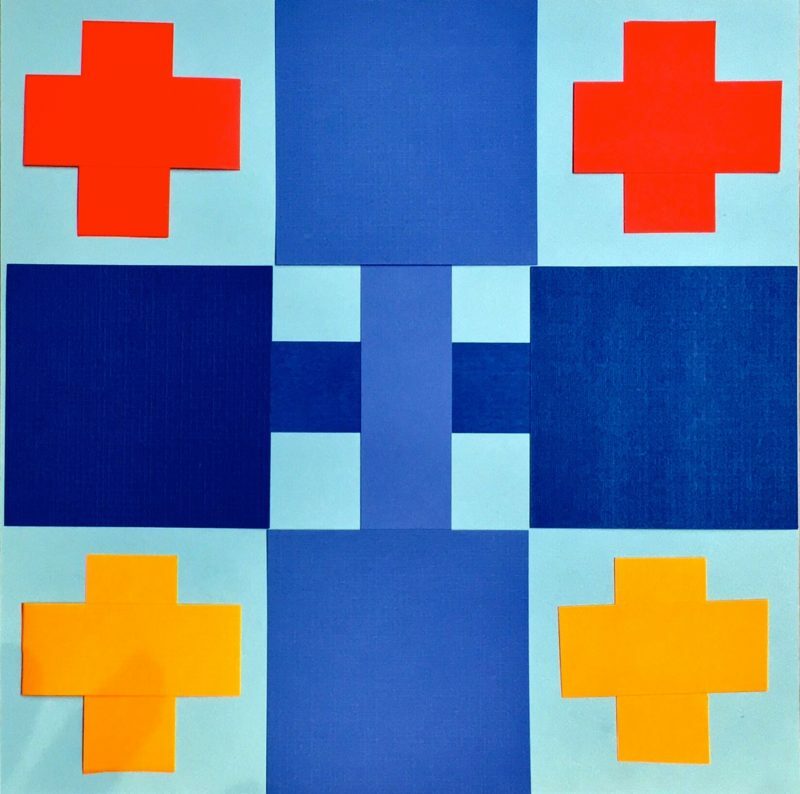 This one below is made by glueing squares and skinny rectangles to make the pattern. Almost all sheets of paper come in the shape of a rectangle, but this cross needs a square piece of paper to make it easy and correct in its form. I bought a big square sheet of card stock paper for 79 cents. This is my base to glue the other shapes onto. 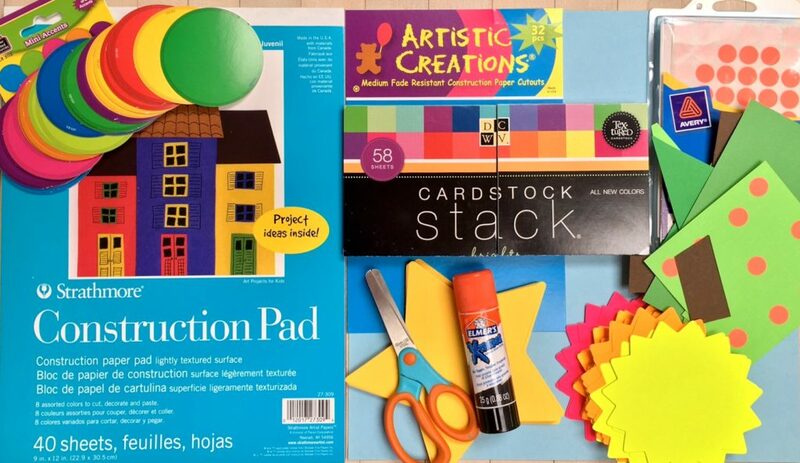 You can cut out the squares and rectangles from construction paper, to glue on. I hope you have fun trying this nice art project. Perhaps you can hang it on your wall. Even though it is a different style of cross and is very colorful, it is still a cross. There are lots of ways to make beautiful crosses. We’ll be doing more, so please check back! Question: Can you find Jerusalem on a map? It’s very far from San Diego. In flight miles, Jerusalem is 10,287 miles from San Diego. Flying (not including waiting and transfers from one plane to another) takes about 16 hours.